Diabetes is chronic hyperglycemia, meaning that your blood sugar is chronically high. That causes a whole host of problems. There are two main types, Type 1 and Type 2, with Type 1 being 5 to 10% of all cases. Type 1 Diabetes is when your body does not making insulin. You have a genetic abnormality that causes autoimmune destruction of the beta cells in the pancreas, which make insulin. This type is diagnosed early on in life and can be effectively managed with medications. Type 2 Diabetes is where the body is making insulin but you’re not able to use it because your cells have become less sensitive to it. This is called “insulin resistance”. There are many causes of Type 2 but the main cause is obesity and lack of physical exercise. It is a lifestyle disease first and foremost. A new category is Type 3 Diabetes, which brings on early dementia/Alzheimer’s. This type is also related to lifestyle, eating and chronic high blood sugar levels. 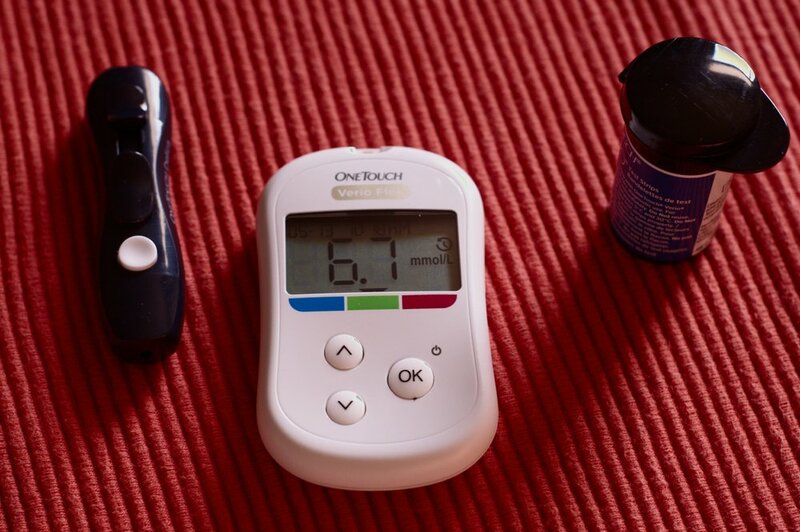 We can see the potential of Type 2 and Type 3 by monitoring those blood sugar levels. The optimal levels are 5.7 or below on the A1C scale, anything above that is deemed as Diabetic. The first noticeable symptoms for Diabetes are classified as the “Three Ps”. Additional symptoms include: chronic fatigue, vision problems and recurrent infections especially in females. There are two tests your doctor might perform to see if you are diabetic. The first is a Glucose Tolerance Test or an Oral Glucose Tolerance Test. In this test, a normal dose of sugar is given to the patient. After two hours, the blood is tested to see how much of that sugar has been cleared from the blood stream. If the results are abnormal, then that patient is at risk for diabetes. The second test administered is a Hemoglobin A1C test. This test checks the normal scale of hemoglobin floating around in the patient’s blood. If you are at 6 or below, you are in the normal range. Anything above that range puts you at high risk for diabetes. Diabetes is treatable through lifestyle changes. However, high blood sugar levels turn blood into a syrup consistency. The thicker blood has a difficult time traveling to outer extremities like fingers and toes and through the eyes. This leads to nerve damage and pain known as Peripheral Neuropathy. Want to learn more about Diabetic Peripheral Neuropathy? We just posted a new podcast about it! Dr. Matt DiDuro, D.C. has been in the health care field for over 20 years and has accumulated a wealth of knowledge about how to effectively approach many of the medical ailments that plague us.Learn more Dr. Matt DiDuro by reading his bio.